The second in a series of four next-generation weather satellites is now in geosynchronous transfer orbit above the Earth. 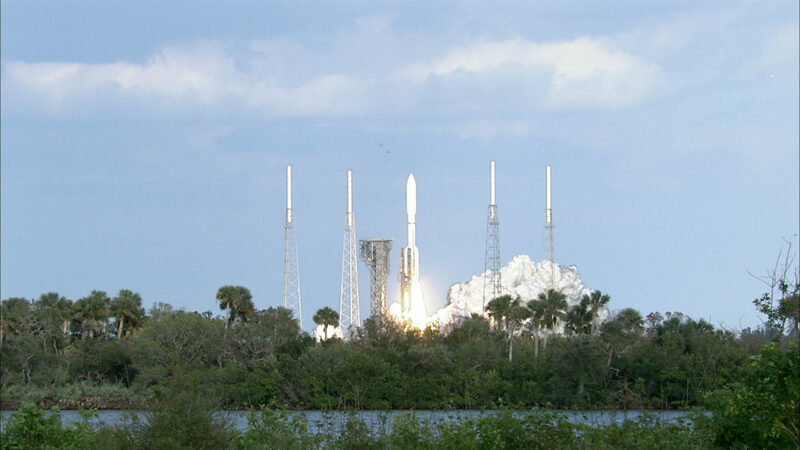 NOAA’s Geostationary Operational Environmental Satellite-S (GOES-S) launched on a United Launch Alliance Atlas V rocket at 5:02 p.m. EST from Space Launch Complex 41 at Cape Canaveral Air Force Station in Florida. There were no weather constraints at the time of rocket liftoff. GOES-S separated from the United Launch Alliance Centaur upper stage at 8:34 p.m. EST, followed shortly afterward by mission manager confirmation that the spacecraft’s Stage 1 solar array successfully deployed and the spacecraft was operating on its own power. When it reaches geostationary orbit 22,300 miles above Earth, in approximately two weeks, it will be renamed GOES-17. It is the second in the GOES-R Series of weather satellites that includes GOES-16 (formerly GOES-R), along with -S, -T and -U. When the satellite is declared operational, late this year, it will occupy NOAA’s GOES-West position and provide faster, more accurate data for tracking wildfires, tropical cyclones, fog and other storm systems and hazards that threaten the western United States, including Hawaii and Alaska, Mexico, Central America and the Pacific Ocean, all the way to New Zealand. More information about NOAA’s GOES satellites is available at https://www.nasa.gov/content/goes. This concludes today’s coverage of the GOES-S countdown, launch and ascent into space. The GOES-S satellite completed deployment of the Stage 1 solar array that will generate electricity for the spacecraft during its mission. GOES-S is in a geosynchronous transfer orbit above the Earth, its systems are in good health and it is operating on its own. We have spacecraft separation. Cheers and applause can be heard from the launch teams as the GOES-S spacecraft separates from the United Launch Alliance Centaur upper stage to fly freely for the first time. Next up is solar array deployment. GOES-S currently is in a geosynchronous transfer orbit above the Earth. The Centaur stage of a United Launch Alliance Atlas V rocket is firing its small thrusters to position itself and the GOES-S payload into the proper position to fire its main engine for the final time during the mission. NASA TV will resume coverage at 8:15 p.m. EST. Spacecraft separation is set to occur at approximately 8:31:55 p.m. The Centaur stage is firing its small thrusters to position itself and the GOES-S payload into the proper position to fire its main engine for the final time during the mission. Everything remains on schedule for the flight. 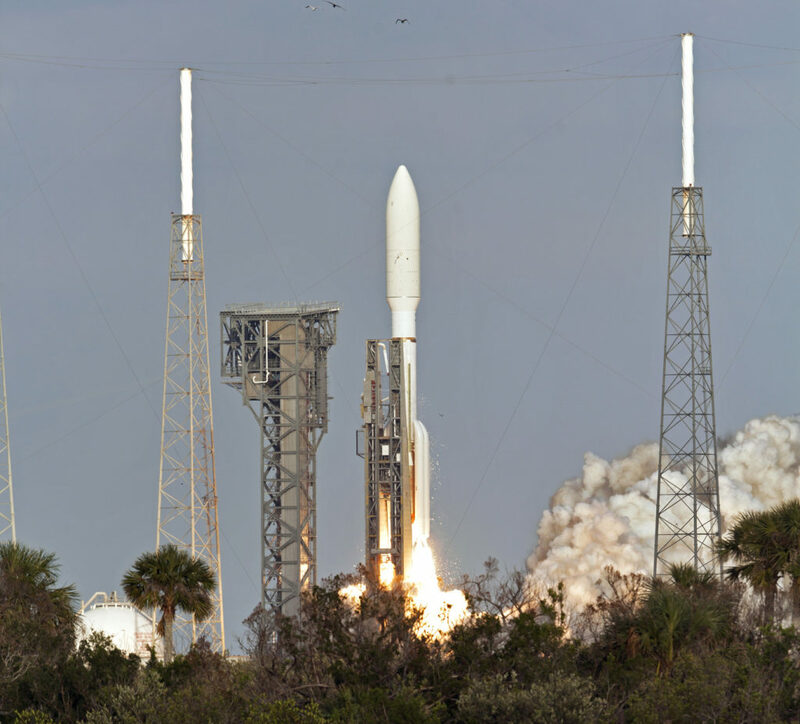 Booster ignition and liftoff of the United Launch Alliance Atlas V rocket at 5:02 p.m. EST, from Space Launch Complex 41 at Cape Canaveral Air Force Station in Florida, carrying NOAA’s GOES-S satellite. The rocket is on its way, carrying NOAA’s second in a series of four next-generation weather satellites. 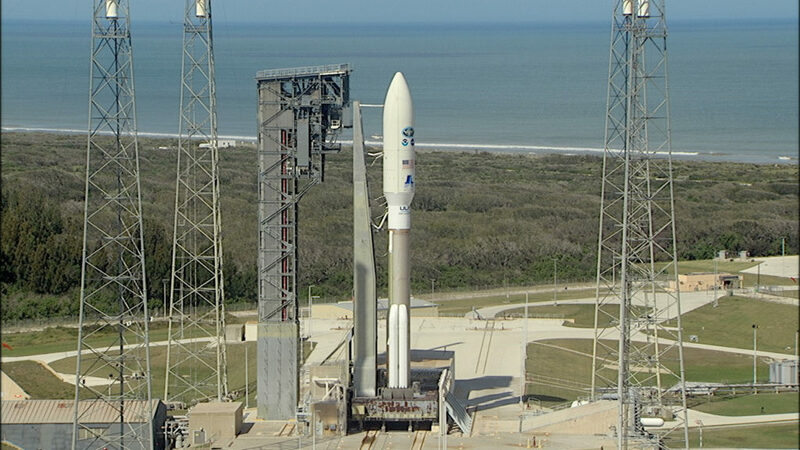 The GOES-S countdown is underway toward a liftoff at 5:02 p.m. EST. During the last four minutes of the countdown, the Atlas and Centaur propellant tanks will be brought up to flight pressure, the rocket and spacecraft will be confirmed on internal power, and the Eastern Range and launch managers will perform final status checks. A computerized autosequencer will take over the countdown in order to conduct a host of activities in precise order. The launch countdown has entered a T-4 minute hold. This hold will last 15 minutes. Weather remains at 90 percent chance for favorable weather at liftoff. The constraint for cumulus clouds has been removed. Good afternoon from Kennedy Space Center in Florida. A United Launch Alliance Atlas V rocket stands ready for liftoff at Space Launch Complex 41 at Cape Canaveral Air Force Station. 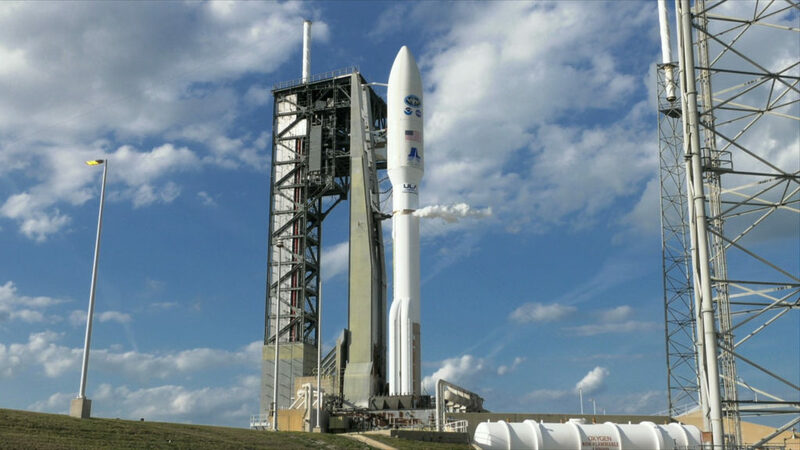 The Atlas V will carry NOAA’s Geostationary Operational Environmental Satellite-S (GOES-S). Launch is targeted for 5:02 p.m. EST, at the beginning of a two-hour launch window today. The weather forecast for today’s launch is now at a 90 percent chance for favorable weather at liftoff. The launch blog originates from the NASA News Center here at Kennedy, a few miles west of the launch complex. There’s more to come, so stay with us. Follow the launch countdown and launch at https://www.nasa.gov/nasalive.